Having a home with a large private enclosed space or garden is awesome, until it’s time to trim the grass. It’s a household chore that most don’t enjoy. If the garden is big enough, you could get a lawnmower or outsource to a landscaping company. But how many of us live in GCBs (Good Class Bungalows)? Having visited more than 2500 homes (and counting) in the course of our outdoor renovation work, we’ve come up with this unconventional tip that will shave hours off your housework every week. Our approach is a pragmatic and you can say, humane, one. Provide greenery without adding maintenance burden on the customer and their helper. Often, with the couple working, the plants are left in the hands of the helper. With many chores to do and sometimes young children to care for, having to trim the grass in the garden adds more work for the helper. If it’s not the helper, the job would land on you, the homeowner, or maybe even your aged parents who live with you. 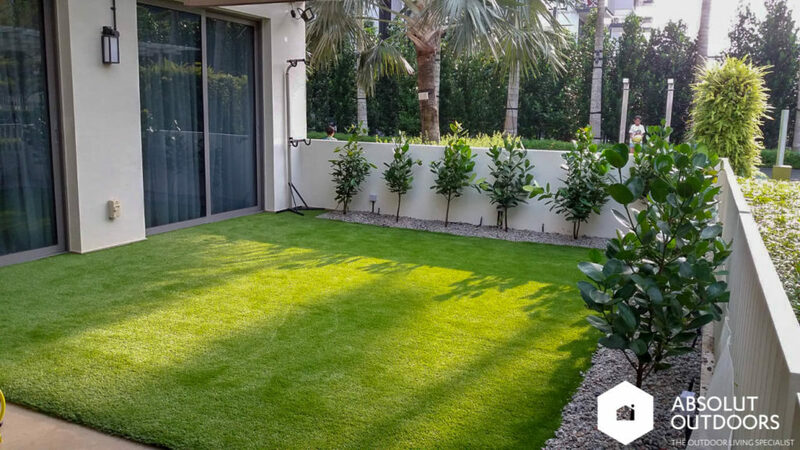 Simply changing the flooring to artificial grass helps shave off a ton of work for everyone. It also saves water resources. With natural grass, the place sometimes gets waterlogged when there’s heavy rain and this presents a mosquito risk. With artificial grass, this doesn’t happen. 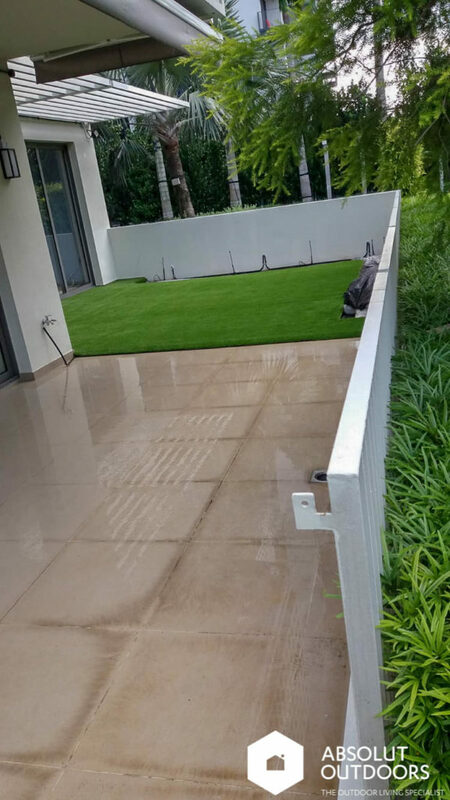 In this case, it’s artificial grass with live plants and pebble landscaping at the perimeter. It’s always about what serves our customers and their families the best. 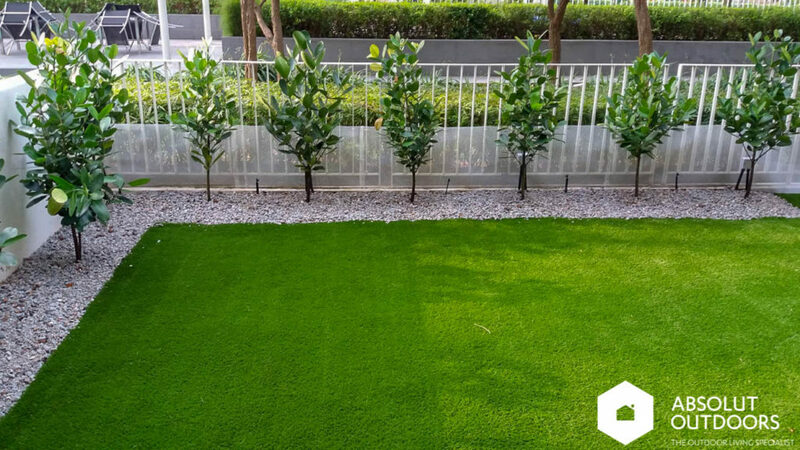 If you’re looking at reducing the amount of housework your helper or your family has to do, try changing the grass in your garden to artificial turf. You’ll be surprised at how much of your time it’ll free up, not to mention the beauty it will add to your home.